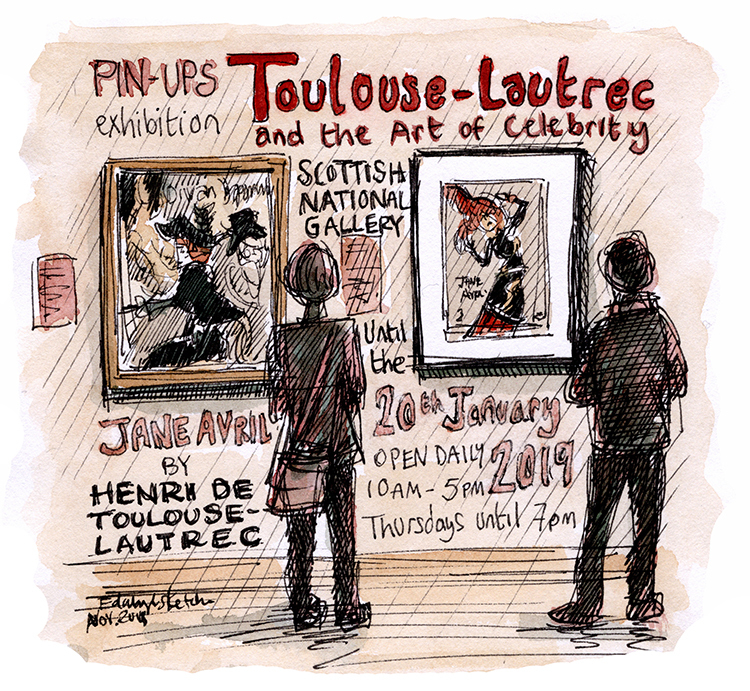 This is the first exhibition held at the National Galleries of Scotland devoted to the art of Henri de Toulouse-Lautrec (1864-1901). Coming from an advertising background myself I find his work so inspiring, the limited use of colour and striking imagery which captured the imagination and turned mass produced posters into artwork for many years to come. Most famous of all are his posters for the nightspots of the bohemian district of Montmartre in Paris, where Toulouse-Lautrec lived, worked and socialised, including the now legendary café-cabarets Le Moulin Rouge and Le Chat Noir. The exhibition which runs until 20th January 2019 focuses on Toulouse-Lautrec’s lithographic posters, portfolio prints and illustrations which made stars of Montmartre’s venues and their entertainers. But also we see his portrait sketches in pencil and some of the less known rejected artwork. The exhibition creates a glimpse of the man who, over one hundred years ago created such lovely sketches from rehearsals or back stage including the acts, the orchestra and the crowd. I’m looking forward to doing more of that myself in the summer. 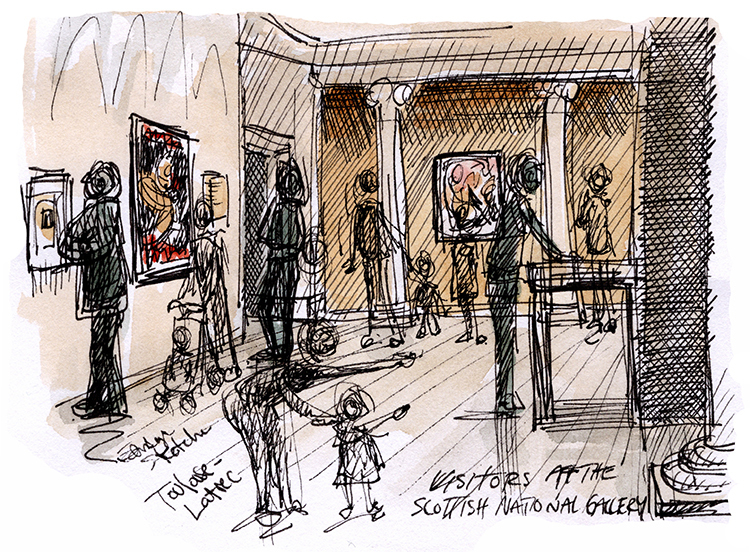 For more information and to book see the National Galleries Scotland website here.